The ice storm and freeze in February 2011 caught my office and killed the heat. 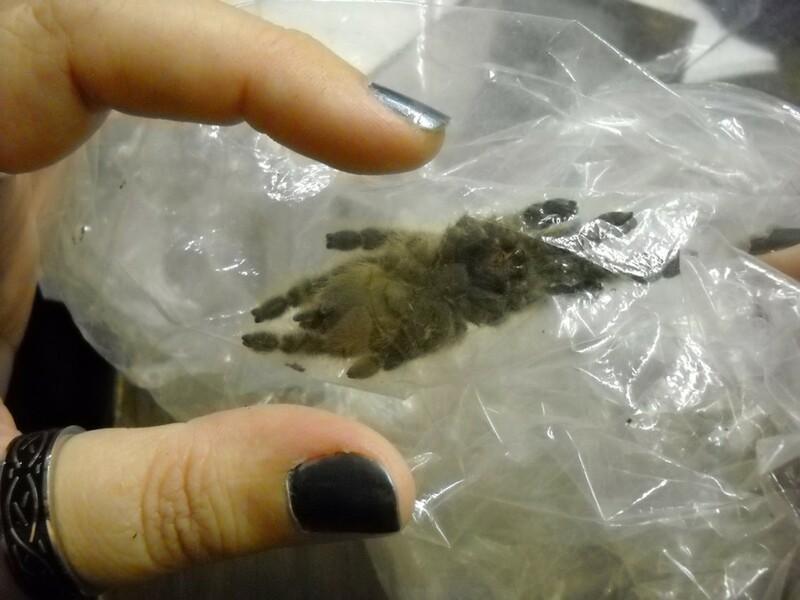 It also killed 8 of my lovely Ts, though miraculously, 50 of the 59 survived. I mourn the loss of those who passed. I have slowly begun to replace them, though it won't be the same without their special little nuances. The Wookie (doesn't she look like one?) 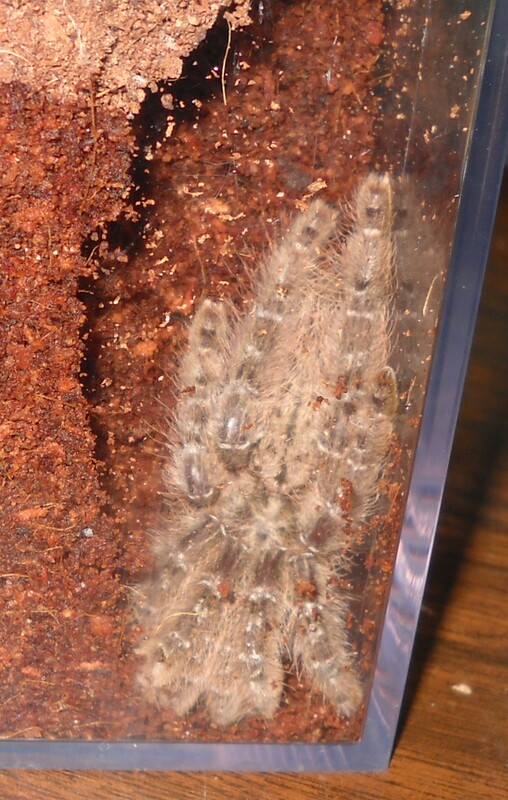 an H. maculata. She's only a couple of inches, and still has that hairy juvi appearance. 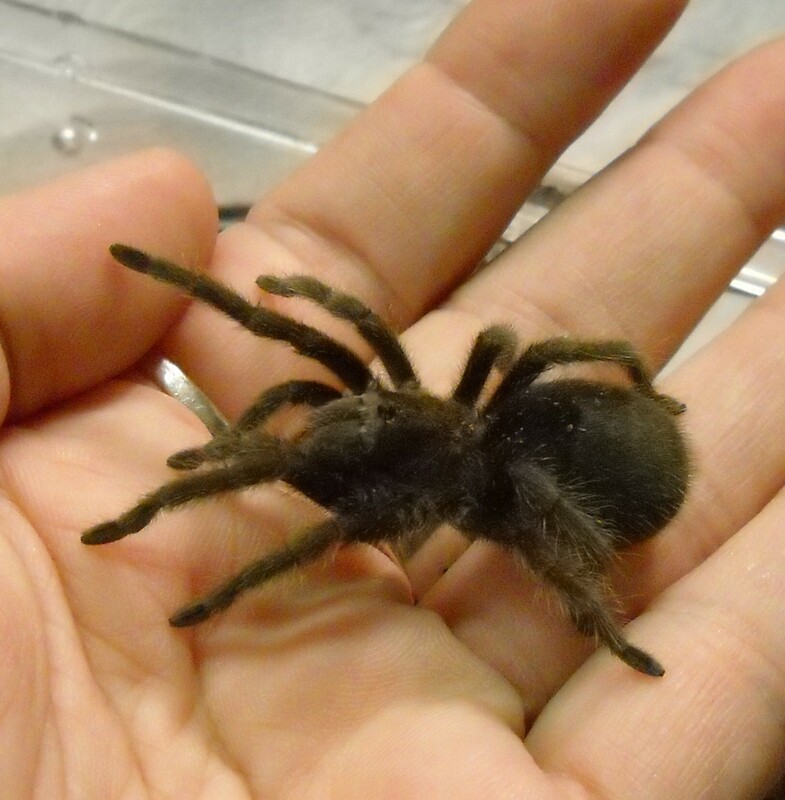 Mature H. macs are incredible, mottled grey spiders. Fast, but they are lovely to look at. Right now, both H. macs are about the same size and both tend to hide... Oh well! Above is h-mac-in-a-bag, the safest way to rehome from one cube to another! Vanquished, a little (1.5") B. auratum, or Mexican Flame Knee. 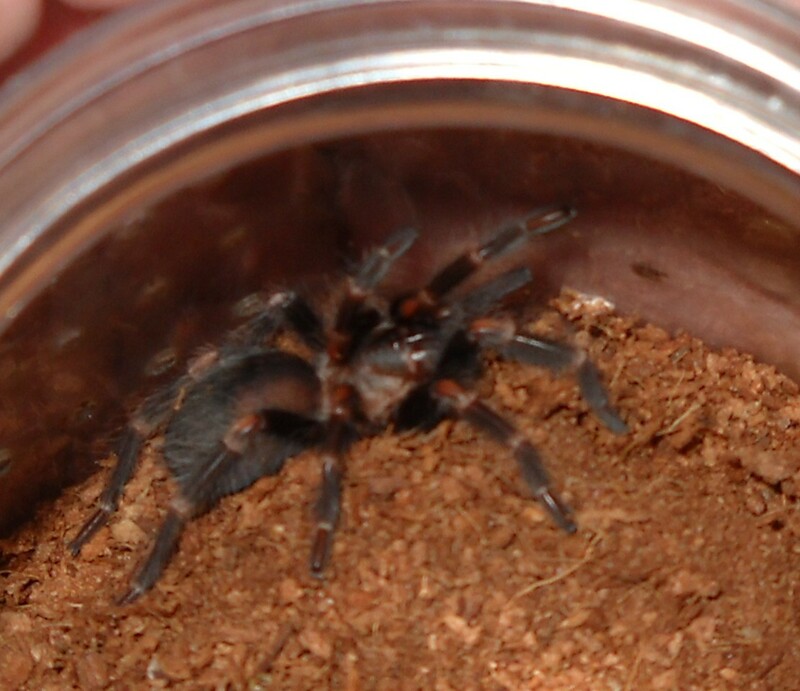 Looks similar to a B. smithi - Mexican Red Knee). Too tiny to handle, but will be rehoming soon into something a little bigger. Part of my Valentine's gift to myselflll Vogue, an A. moderatum. This beautiful little sling is super-sweet. He gifted me on Valentines by deciding to come out of the deli cup and just sit on my hand. On his own. One happy T mommy and a content little T.
My Valentine's greeting. That's Vogue (thus his/her name) as the model). The candy hearts were advertised to say "Bite me" but none did, so I had to add my own "bite". 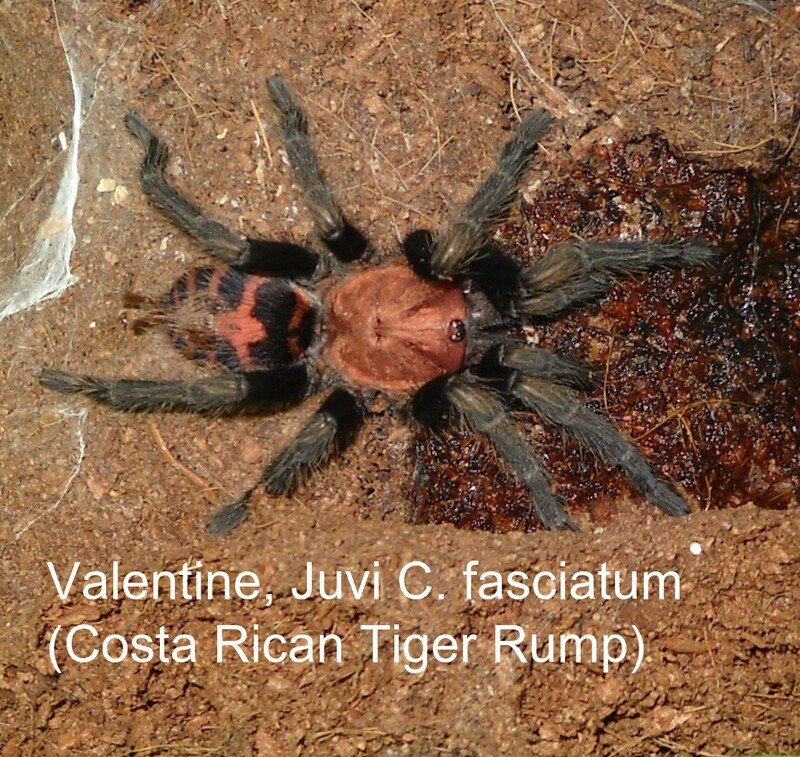 Valentine, a C. fasciatum, was my first choice as the model for the V-day greeting. The colors on this species are outstanding. I can't decide if it's coppery, or rose-y, or... However, fasciatums are FAST. Luckily I was using one of those deep acrylic poster frames for the shoot, and she just skittered all around the edges of it. 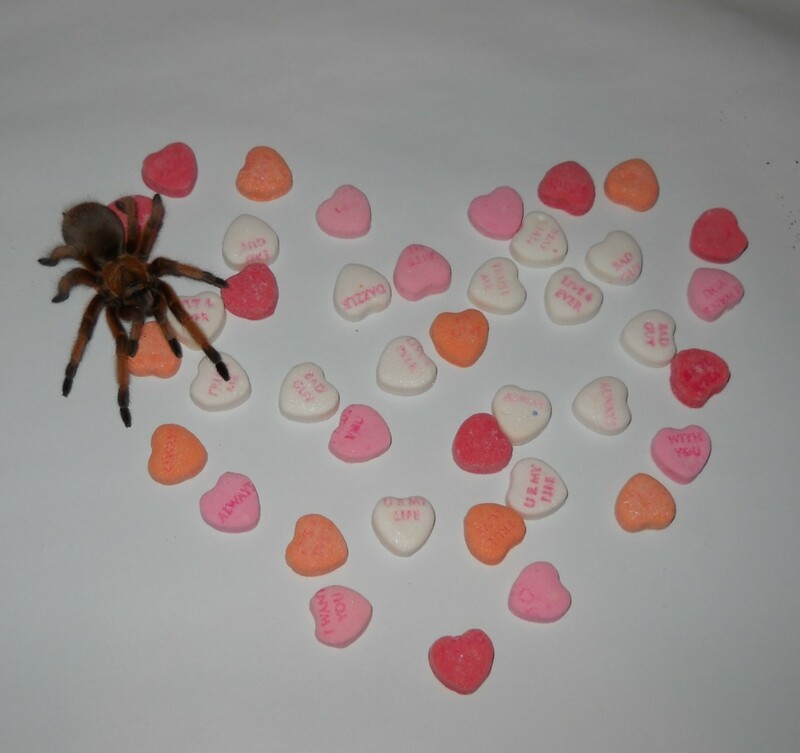 She could not be persuaded to sit on the candy hearts. Thus Vogue was used instead. I still love the coloration of the fasciatums. Valentine is looking like she might be a good display T, like Dulcinea is.